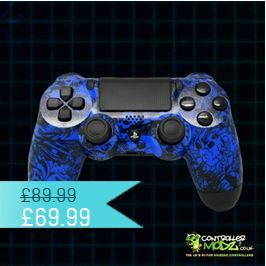 Looking for a new custom PS3, Xbox 360 PS4 or XBOX One controllers and you just cannot find one to suit you so far, well this is where the custom controller creator comes in. 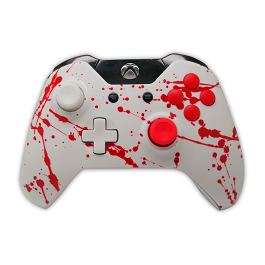 You will be able to choose from hundreds of different options to make you perfect custom controllers. Choose different colour shells, different types of patterns many colours of LED's, black plates, button colours and lots more options. You can even choose if you want to have the controller have a mod chip installed or not. You can choose every part of your new controller, even swap around the d-pad and thumbstick on the XBOX 360 controller. All of the custom controllers start life as an official XBOX or PS controllers so you can be sure you are getting a quality product. Buying gifts for teens or adults that love video games can be tricky. Purchasing games aren't always recommended because you may pick something the recipient already has in their collection. There are relatively few accessories that the most dedicated gamers could use, but one option does stand out. 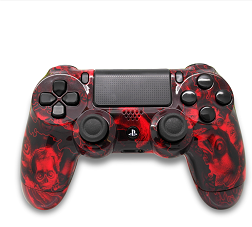 Ordering a custom PS3, Xbox or PS4 controller for your favourite family member or friend is a great way to show you care while giving them a gift they can put to good use. 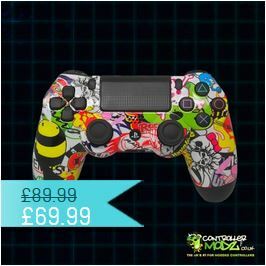 You only need to know their favourite gaming console and the types of games they enjoy playing to pick the perfect controller. When platforms like the XBOX 360 and the PlayStation 3 were first released for sale, their standard controllers were capable of performing most basic game tasks. However, advanced players quickly realised that they needed controllers that were even more responsive to allow their skills to shine through during games. A number of producers quickly started offering upgrading and modified options for dedicated gamers. Since many people now compete in games like Call of Duty as professionals, the market for custom controllers has only grown. Even the youngest players want cool, fun controllers that automate some of the game. Tuning and Adjustment: The user can set the speed of each automated task to ensure they have a competitive advantage. This is very helpful when the game requires faster shooting than a standard controller can even register. Automated Tasks: Holding down a trigger could help the player complete an entire series of actions, saving them a lot of trouble. Even if you aren't sure what your gift recipient plays on a regular basis, you can rest assured that they will have more fun. Durability: Dedicated daily players can quickly wear out the standard devices. Mashing buttons and pressing the triggers leaves a lot of wear and tear on a controller. These modified devices resist this kind of damage for years at a time. Ergonomics: Most modified controllers feature scooped joysticks, longer grips and careful button configurations to minimise the damage done to the hands during extended sessions of play. Non-slip Surfaces: During long gaming sessions, the hands can become very sweaty. This makes it hard to keep a grip on the controller at peak moments. A rougher surface ensures your gamer doesn't drop their controller or fumble with it. 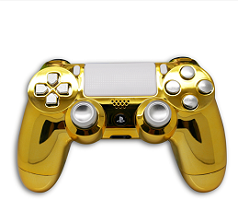 For the best results, try ordering a gift certificate for custom controllers rather than picking the arrangements on behalf of your recipient. This allows them to change the device to fit their specific needs and eliminates your need to research their favourite games. Making the gift of a comfortable, reactive controller will ensure that your gift stands out from the others for the recipient. 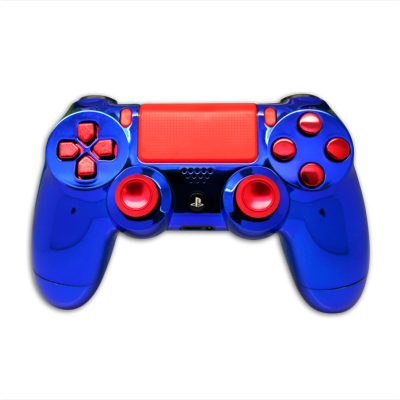 So you have been looking for a new PS3 or Xbox 360 custom controller and you just cannot find one to suit you so far, well this is where the custom controllers creator comes in. 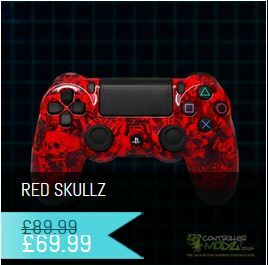 You will be able to choose from hundreds of different options to make you perfect custom controller here in the UK. Choose different colour shells, different types of patterns many colours of LED's, black plates, button colours and lots more options. You can even choose if you want to have the controller have a mod chip installed or not. You can choose every part of your new controller. even swap around the d-pad and thumbstick on the XBOX 360 controller. 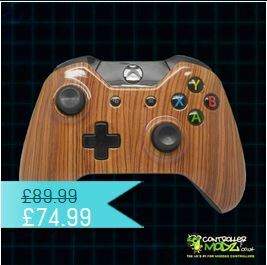 All controllers start life as an official XBOX or PS3 controller so you can be sure you are getting a quality product. 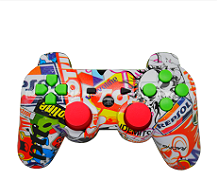 Click on the banner below to be taken to the custom controller creator to design your own.